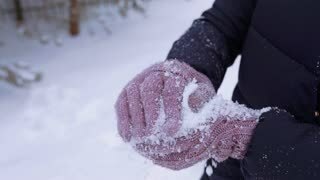 Search Results for "snowball fun"
Cute little girl in pink jumpsuit throws a round snowball, fun games with snow in winter. Kid Snowballs Throw Fun HH. A cute little girl throwing snowballs from the top of a hill. Handheld shot. Two men enjoy having a fun snowball fight with their girlfriends in the winter of 1966. Happy Young Couple Makes a Snowman, both Rolling big Snowball. Family Having Fun on one Winter Evening. In the Background House Decorated with Garlands. A group of friends are having a lot of fun playing snowball. 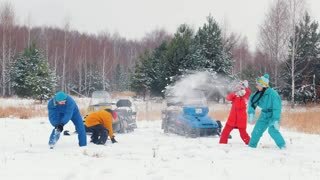 A group of friends are having fun playing snowball in winter.